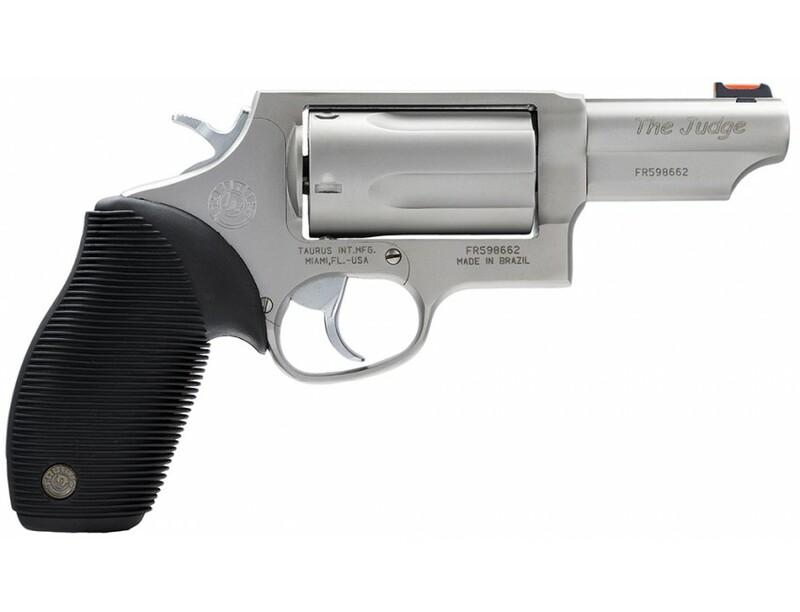 The Taurus Judge is named for the many judges who carry it into the courtroom for their protection, and it is capable of chambering both 410 gauge with 2-1/2" shotshell and the 45 Colt. This combo is ideal for short distances where most altercations occur and for longer distances with the 45 Colt ammo. This model is fully customized with fixed rear sights, fiber optic front sights, and Taurus Ribber Grips. 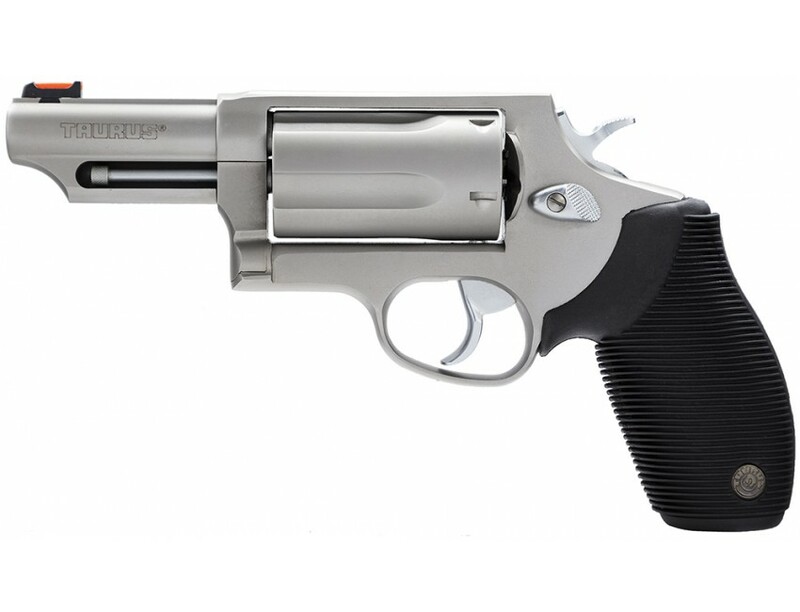 The safety features on this model include the Taurus Security System and a transfer bar.This model has a stainless steel metal finish and 4" barrel.